I have often asked people what exactly the understanding of ‘core stability’ is, as I am regularly told that people are sure that their aches and pains stem from a lack of ‘it’. It’s a term that means different things to different people, but within the world of fitness the most common response you get is, “my stomach (muscles)”. But is that true? Does the ‘core’ deserve its obsession? And is it really the major factor in aches and pains? 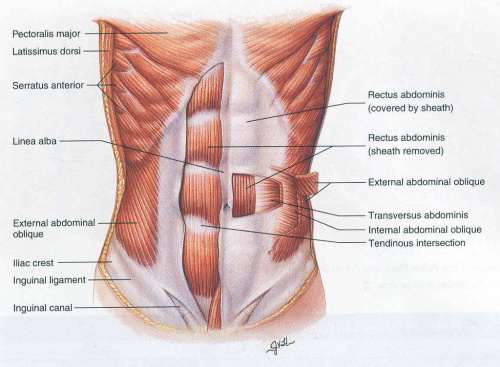 It has been suggested that in asymptomatic – pain free – people the muscle transversus abdominis (TrA) activates before any limb movement, and further suggested that this activation is delayed in patients with pain, particular lower back pain. (Reference 1). The thought process therefore goes, activate TrA; avoid pain. Simple! So there is no evidence patients (symptomatic) have a delayed onset of TrA activation; that any apparent delay is not important to the causation of their pain; and that TrA training does not improve any timing issues anyway. So, actually, the link between the core and pain is pretty, errm, unstable. This entry was posted in Uncategorized on 4th August 2015 by DCInjuryClinic.